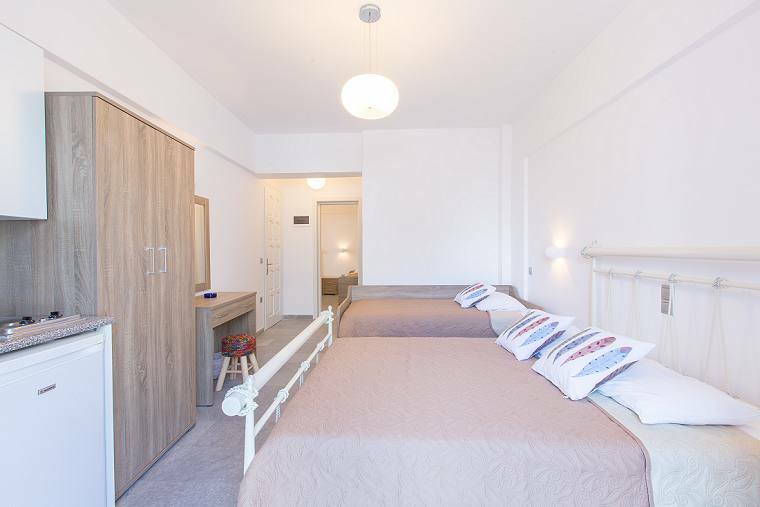 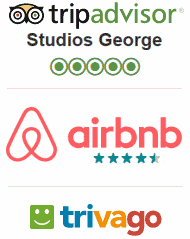 Studios George offer fully equipped rooms and self-catering accommodation for a comfortable stay. 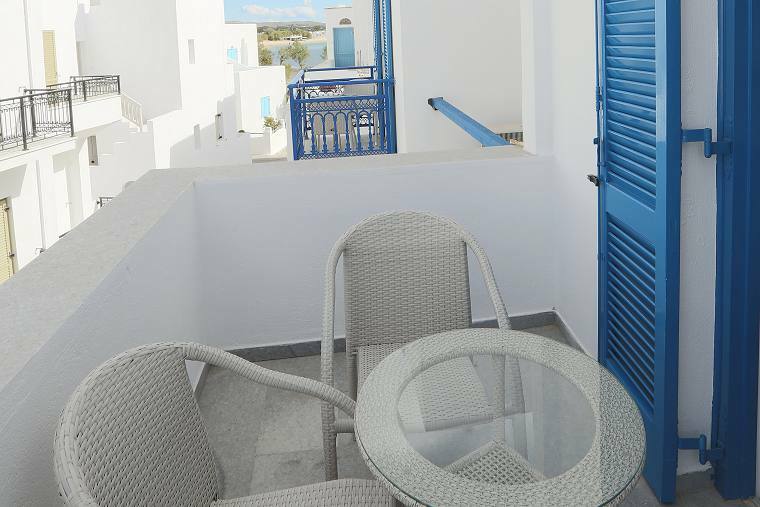 The rooms can accommodate from a single up to 5 people and all have private balcony or veranda and some of them offer side sea view. 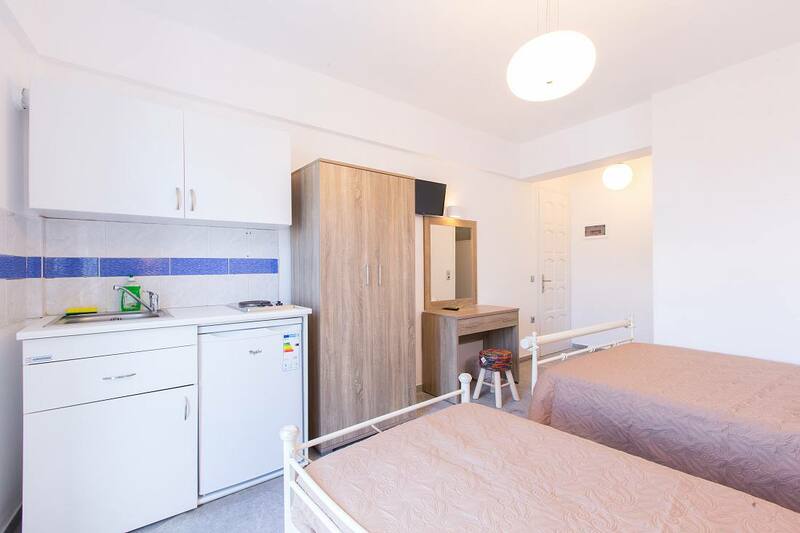 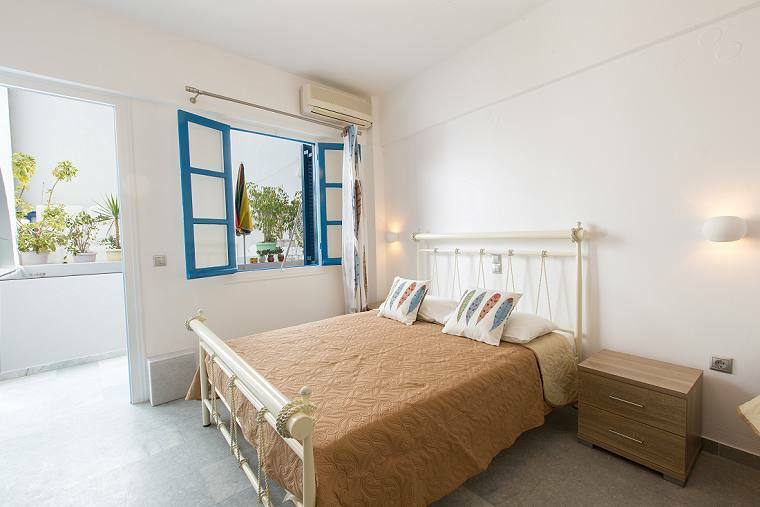 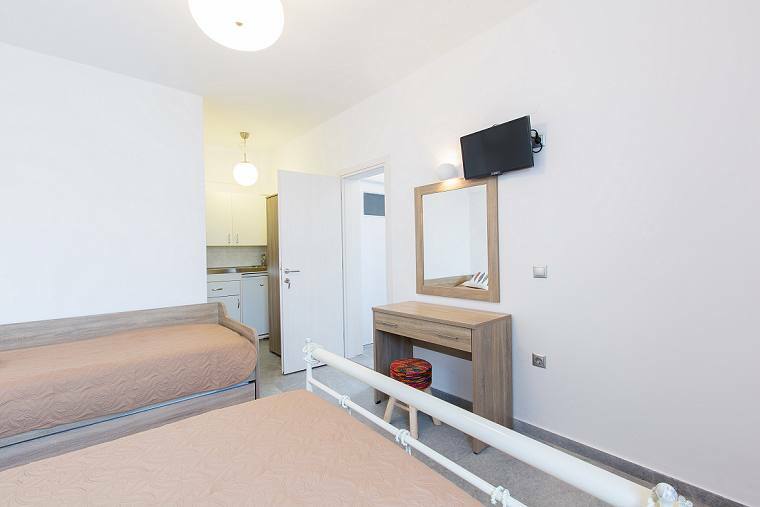 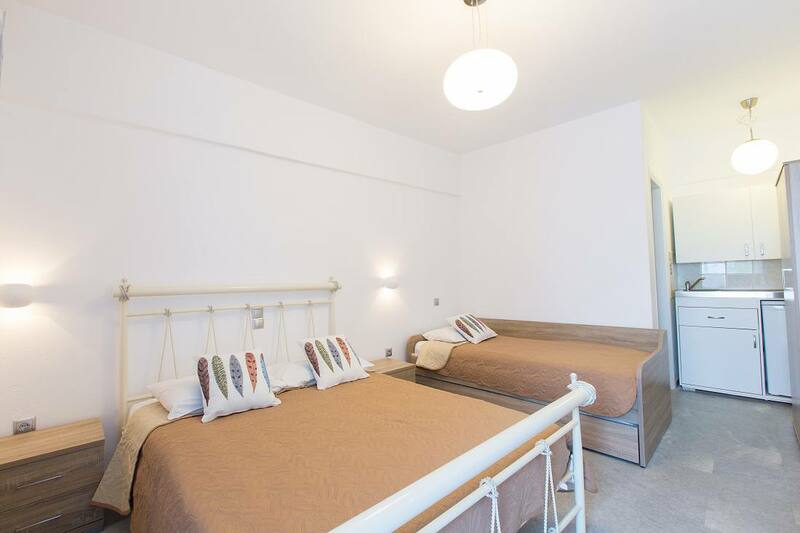 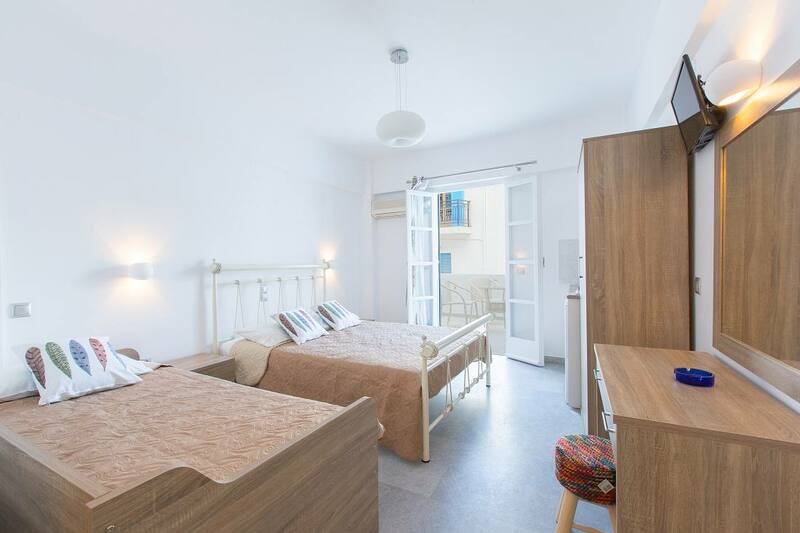 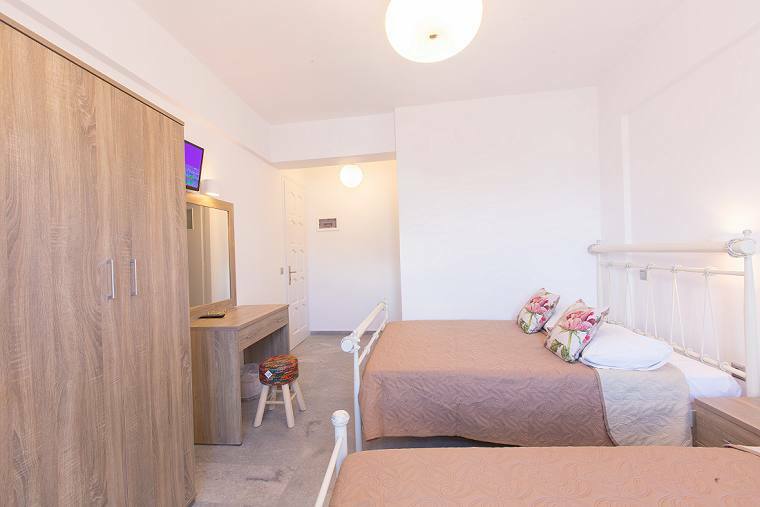 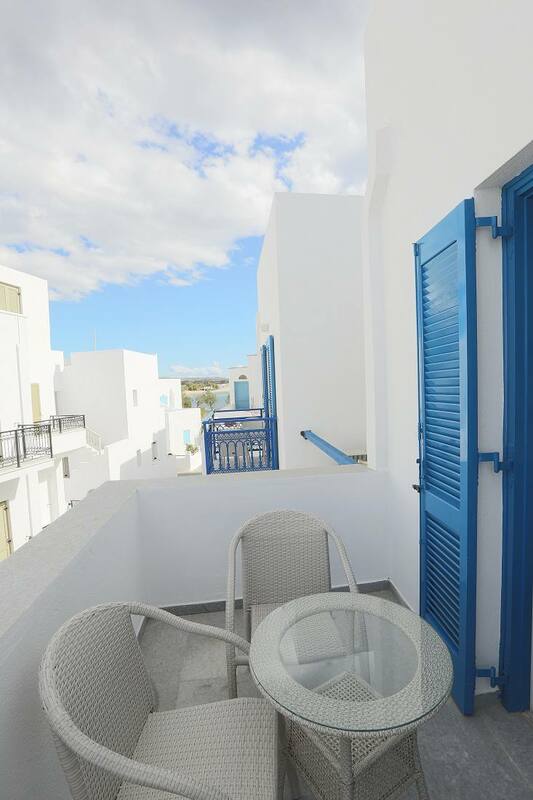 Accommodation facilities include, free Wi-Fi internet access, air conditioning, equipped kitchenette (in the studios), refrigerator, private wc / shower, private balcony / veranda (except one room that opens to a patio), safe box, TV. 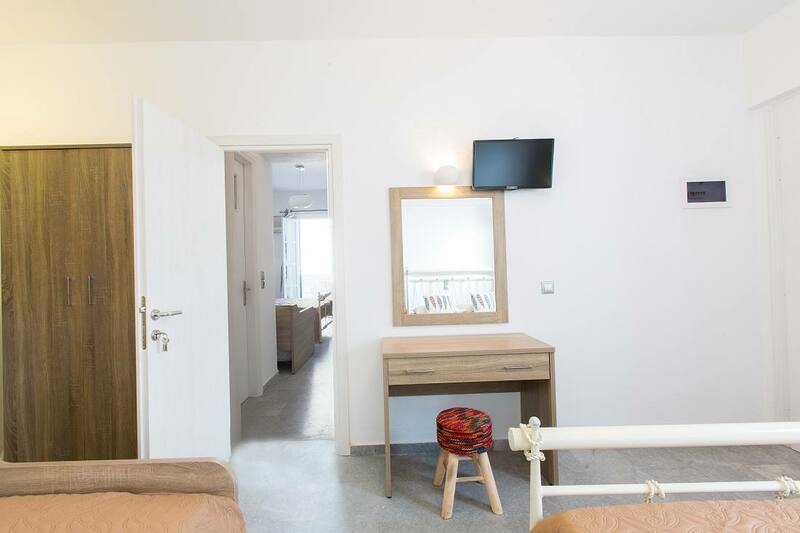 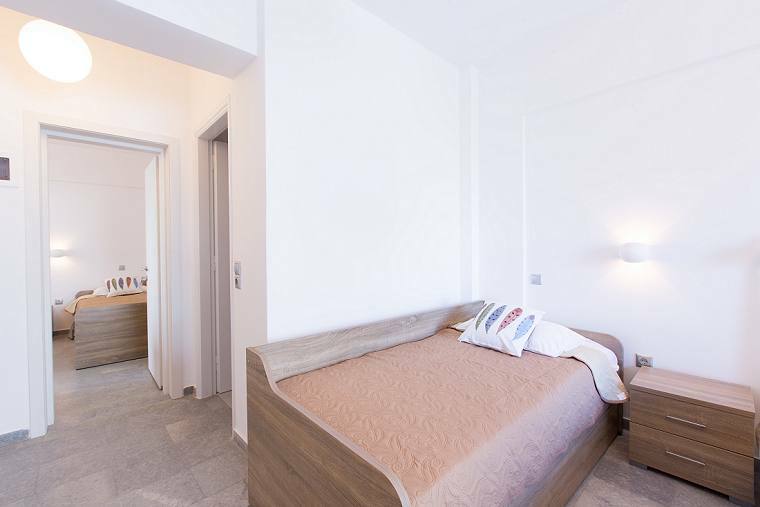 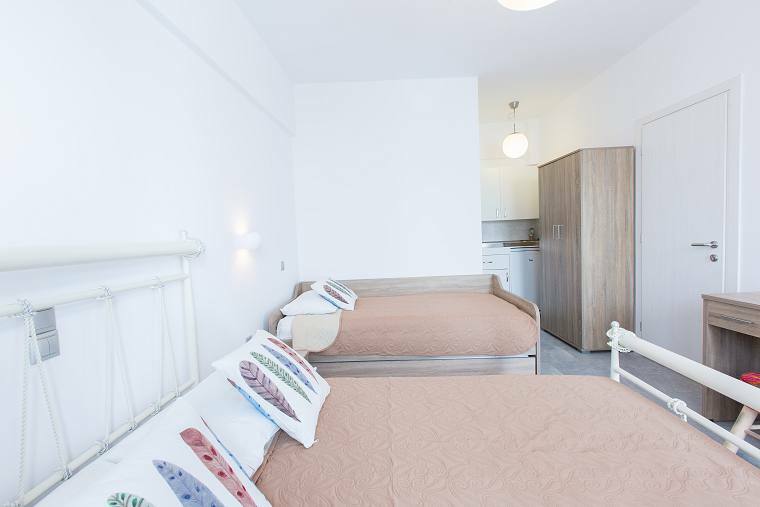 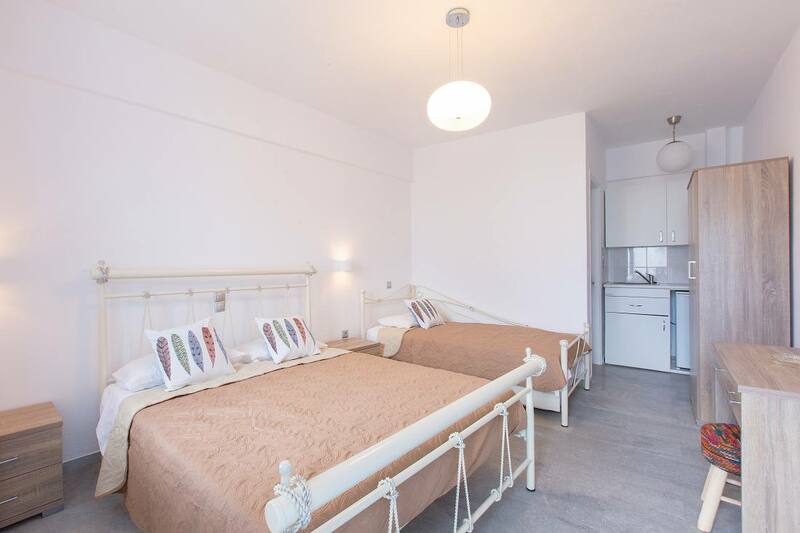 Families will enjoy our family apartment that consists of two interconnecting rooms, while couples will be delighted with the panoramic and romantic view of the sea from our top floor room.